Fresh Breeze has released a new Snap 100 prop and I just got mine and did a quick test in the backyard. The prop is slightly shorter than the original, but I haven't measusred it yet, but it is much wider. I put it on my Snap and wound it up. Its a bit quieter and bo y, does it kick up the thrust. I would guess it in the 115lb range now. My normal full throttle RPM with the original prop was 9650, well with this one I'm only getting 9070, but I may need to do some carb tuning. Its raining now, but I will test fly it tomorrow and report back to the troups. Full-size images-> Image 1. Image 2. Update: Had a chance to fly the new prop this past weekend. I got 4 flights and 2 hours total time on it. It delivers as promised. I would guess thrust is in the 115-120 pound range. Max RPM's dropped from 9500 to 8950, but that is normal. My fuel efficiency also increased slightly. 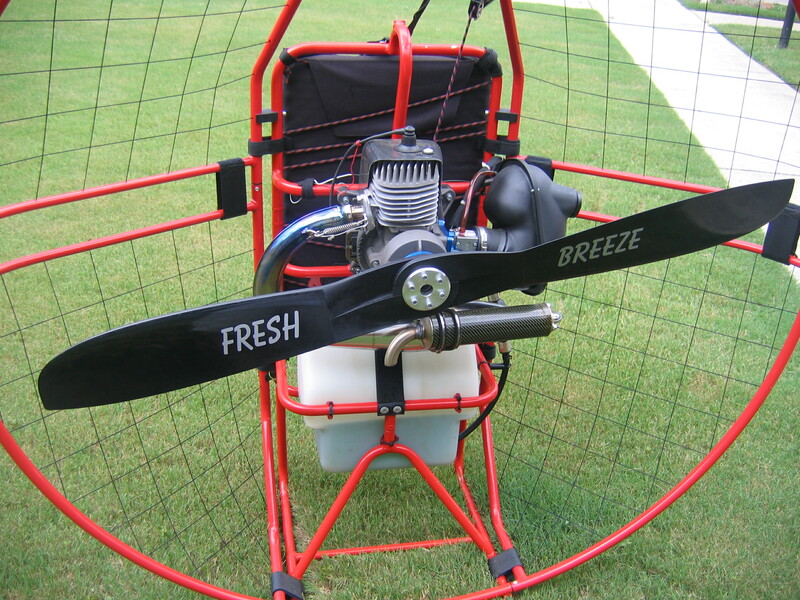 Good points - Its quieter, more thrust, and less fuel burn. The only slight negative is that it takes a bit longer to spin up the wider prop than it did the thin one. 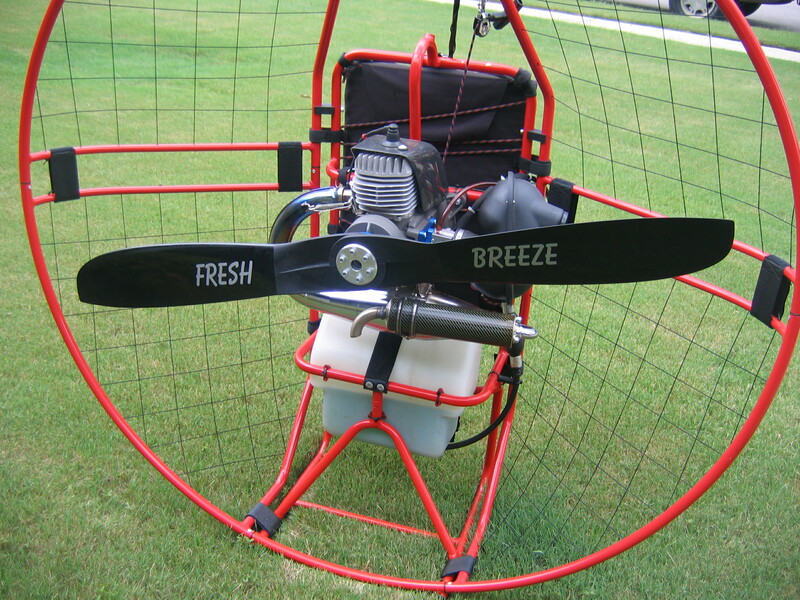 Note to those Snap owers NOT flying a Fresh Breese, to upgrade to this prop, you will also need to get the custom mounting plate that Fresh Breeze bolts onto the prop flange. This plate is machined to fit the flange and bolt on to the 4 holes and then allows the mounting of the 6 hole bolt pattern Fresh Breeze prop.